Access to your site is available 24/7. This allows you to gain entry through our security gates and doors outside of our normal office hours. Access is via a secure PIN code. It is very easy to add and remove this option to your account should you require it. If you haven’t added it already, please call your branch to have it added today. We know when it comes to house move time cash flow can be tight with one expense after another. That's why we currently have a special offer running where your get your first twelve weeks storage at half price. You don't even have to stay for the whole discount period to get the offer and there's no penalty for moving out early. Not only that but we've broken away from the norm and we do not ask for a deposit when you come to move in. Leaving you those extra few pounds to spend on a well earned fish and chip supper when you've finished your days exertions - usually sat on a mattress in the lounge if your moving day is anything like our experiences! Of course you probably need to know how much it will cost to use us. We've tried to make it as simple as possible, just fill out the quote form on the left and you will receive an an instant quote on the screen, including details of the current offer. At the same time it will send a copy through to your email so you have it for future reference. Fancy something more personal? We'd be happy to run through everything on the phone, that way if you have any questions or if you want advising on sizes we'll be there ready to help. We believe we offer the best value for money storage Gloucester and we aim to be the most competitively priced facility in the area. Our promise: We will beat any like for like price by 10% within a 5 mile radius of our site. Our Gloucester self storage facility offers you the chance to store at unbeatable prices. We can offer our customers two types of rooms in which to store their goods. Some of our rooms are ground floor and with the special way the buildings are laid out your door is never far away. The second option that we can offer you is to store within our two level building. This building is very easy to access and ultra secure. You can park outside the loading doors and then move your goods from there. So not only do we save you money but we save your backs with much less lugging about of heavy furniture. You can park next to each building and with some rooms you can even park right outside your door. There aren't any lifts to queue for and only a handful of our rooms have a few steps to go up to reach them. All this allows you to unload and load very close to your room, reducing loading and unloading times, as you can imagine we're popular with the removals companies! No matter what length of stay you are planning we can work with you to meet your needs. When storing with us, whether that is residential self storage or for your company our minimum term is only 14 days. If you are thinking of storing long term then that is not a problem, there isn't a maximum amount of time you can store, you just need to give us fourteen days notice when you come to move out. As you only pay for the days you use, when you finish using us we refund any amounts you haven't used you right back to the day you leave. We find our customers like this because home moves are never straight forward and dates can move, those pesky solicitors and people on the other side, they never can make their mind up! Security is paramount to us, as you may imagine our reputation trades on it. Our facility is surrounded by a 2 metre high perimeter fence. 24 hour recorded digital CCTV is operational throughout the site as well as monitoring the entry and exit gates. The security gates themselves are operated using a key pad entry system which allows us to keep the gates shut at all times. The locks we use on the rooms are specially imported from the States (they're big on self storage over there). These locks are the most secure, tamper proof locks used in the industry and when in place have the effect similar to a Yale lock, flush with the door and unable to be cut. These unpickable locks are yours to keep when you leave and as you are the only one holding the keys you can rest assured that you are the only one to have access to your room and your possessions. They are supplied with more than one key so your friends and family can have access should you wish. Designed and manufactured with the sole purpose of residential storage, our buildings are insulated from the floor to the ceiling (including the doors) with compacted insulation providing better insulation than most warehouses, mobile homes and even some houses. They are uniquely ventilated allowing the air to circulate without bringing moisture in to the room. A much better solution than shipping containers which sweat and have no insulation. When moving items in to store it is not always possible to do it in one go and it doesn't always fit within a nine to five neat little window. To help out with this we give you free 24 hour access. Then if you want to drop off a sofa on Sunday, bring the mattress in Monday night and drop off Auntie Mable's old display cabinet at two in the morning, you can do. It also means when a bank holiday comes along and you want to sort through items, you can. Unless you'd rather be at the seaside. Just remember to pick up your bucket and spade if you've stored them too. With our extensive access hours it means that you can start using your self-storage at a time that suits you. Often when people are moving items they are fitting it around work or family life and this doesn't always fit with the opening times of companies. We have the flexibility to let you start using us when it is convenient to you. 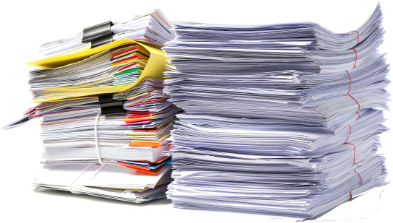 We can process your paperwork and payment by email and phone (no need to print or scan anything). Contact us today to find out how we can get this set up for you, quickly and easily. We welcome students from the University of Gloucestershire (or any college / university, we're not picky). The most popular size room with students is the 12 square foot room which is roughly 4ft x 3ft. This is used for the storage of boxes, clothes and maybe a TV. Just slightly bigger than a telephone box if that helps you visualise it. The next size up from that is a 30 square foot room which is suitable if you are looking to store a small amount of furniture such as a desk and chair, push bike or a single bed. Alternatively some friends share a 30 sq ft room to reduce the cost. Plus that gives you someone to help with the carrying of any heavy items. To get their items in to self storage students often just take a taxi, hire a large taxi and you can fit quite a lot in there. 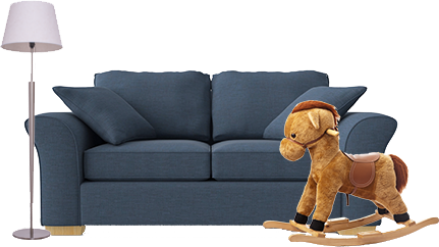 If you need to store some larger items such as a settee then you're probably looking at the next size up from that which is a 50 square foot room but you'll probably need more than a taxi to get those items to us. Motorbikes can be stored in certain rooms at our facility and do not need to be drained of petrol. However separate petrol cans and oil containers are prohibited items and must be stored elsewhere, Many customers enjoy the extended access that we have allowing them to keep their bike with us even if they need access to it regularly. There is a small charge for the twenty four hour access so please contact a member of staff for up-to-date prices and to see if any suitable spaces are available for your bike. Our storage rooms are designed and manufactured to house items such as beds, mattresses and electrical goods such as TVs. Most of our customers are storing residential items with us and have for years across our sites in the South West. We recommend the use of mattress and sofa covers when your goods are in transit and when you are storing them. This is important as any moisture they pick up on the way will obviously be taken in to your room with it. Fridge freezers will also need to be defrosted and drained as well as washing machines, which have a waste pipe that needs emptying. We have six different size rooms at our Gloucester self storage facility offering you a variety of space to choose from. The smallest room is about the size of a telephone box and is roughly four foot by three foot. Then our rooms vary in size up to the size of a single garage, 120 square feet (roughly 15 foot x 8 foot). This means you can fit all your items in to one room, not always possible with other companies, particularly crates where your goods can be separated across multiple boxes. Imagine trying to find one item and it being in the last crate you look in! Use our size estimator on the left to get an idea of what size you need or give us a call and we'd be happy to advise. If you have been given a size by a removals firm in cubic feet we can also convert that for you. If you're heading to the UK from foreign shores then you've found the right company. We can handle everything from a distance, even if that is just Wales! If you enquire online or give us a call we can deal with everything over the phone or by email. We can reserve a room for you without a firm date up to eight weeks ahead of time (you can even cancel without penalty) or if you need things sorted quickly we can work to tight deadlines. We can deal with the formalities of paperwork over the phone and by email. You won't need to do anything by post and we are used to dealing with removal firms arriving on separate days from you so whatever your situation we feel confident we can help you. UK Storage Company - Gloucester is based on Bristol Road, up from Quedgeley in Hempsted. As you head south on the road we are on the right hand side opposite the Arc Car Wash and Ermin Plant. Please use post code GL2 5DF for Sat. Nav. It's actually the old eel/elvers building which a lot of people in Gloucester have fond memories of because they used to buy them off children for quite a lot of money back in the day. Certainly made fishing in canal a lot more rewarding! We are only a short drive from McDonald's so you can reward yourself with a take away when you've finished all the hard work of moving. As you head out of the city we're on the right so if you get to McDonald's or the lights you've gone too far (or are really hungry!). Just look out for our massive self storage signs and the big orange building! Call our friendly staff now on 01452 502083. If you're moving the items yourself then directly across the road from us are Enterprise, making it all nice and neat when storing with us. Just drop your car off with them as you pick up your van and then when you've finished loading your items in to your room you can just hop over the road, return the van and head off for a rewarding slap up meal. Are you in need of some additional space for your growing business? As businesses get going they may not be quite ready to commit to the size or contract associated with a warehouse. With our storage space it gives you the chance to dip your toe in the water and see if it will work for you. Perhaps you’re searching for low cost storage while moving offices or refurbishing? Self storage can offer a great short or long term solution to many issues that businesses face. We require only fourteen days’ notice when you plan to leave, meaning that should anything unexpected occur, you aren’t committed to a long contract with us. There are not any business rates to pay and with a variety of sizes to choose from, you can adjust your size of room as your business needs change. They do say house moving is one of the most stressful things you can do, and one of the reasons is the ever changing time scales. We understand that, so you can reserve a room without telling us when you'll use it or how long you’ll need it for, meaning you have peace of mind that your storage is taken care of. 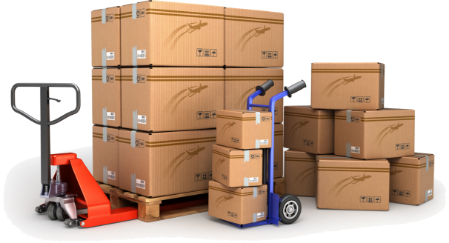 Our highly experienced and professional team are waiting to help you with your requirements and ensure that your items are securely and safely stored. All our rooms are designed to store electrical items and soft furnishings. You can store with us knowing your goods will be safe, secure and dry. Secure storage with easy access and excellent value. Very helpful, friendly staff and quick and easy to set up, all arranged over the telephone. Completely hassle-free. Thoroughly recommended. Me and my wife had things stored here for 5 months and I can say I can only recommend this as a solution for other People who are moving home/long term travelling/ or just need to store their furniture and other things. The team was very helpful every time I called them. The access to the storage facilities is easy, instructions that you get are clear and the storage unit we have was clean and well ventilated. Nothing got damp or damaged, all of our furniture survived - even computers and computer screens. Overall great experience, will definitely use these facilities in the future when/if I will need storage unit. Oh and btw the prices are very good, we actually live far away, but even with hiring a van to drive to Gloucester + petrol, the costs were vastly more economical than any other local solution. So you know, if budget is a thing you are considering, you can only win with this company. My partner and I used the UK Storage Company for 7 months whilst we moved her property from Manchester to Gloucester and were looking for somewhere to live in the area. We were given a competitive quote with initial discount for the first 3 months and the whole process was very easy and took the stress out of finding somewhere to store our belongings. The unit we rented was clean and easy to access and the staff were always friendly and helpful when we needed to contact them with a query. When we finally found somewhere to move to, we contacted UK Storage to notify them. Again they were very helpful and the whole process of ending our rental of the storage unit was stress free. As payment had been taken prior to our giving notice, we were only charged for a week that we still needed the storage unit and refunded the difference for 3 weeks which was dealt with quickly and efficiently. I would highly recommend the UK Storage Company to anyone wishing to store possessions securely and safely (we managed to get a two bed terrace house worth of property into a 90 sq. ft. unit!!) and at an affordable rate. From initial contact to moving our stuff into our new home you guys at UK Storage have given us 5 star treatment. The site is clean and easy to find. All queries have been dealt with quickly and efficiently. I can throroughly recommend.